Marie Dallam is an assistant professor of religious studies in the honors college at the University of Oklahoma. Benjamin Zeller is an assistant professor of religion at Lake Forest College in Illinois. They are the editors, along with Reid L. Neilson and Nora L. Rubel, of the recently released Religion, Food, & Eating in North America. We connected via Skype on February 26, 2015 to discuss this anthology on religious foodways, or the ways people connect food and religion in their daily lives. Though we often tend to think of religion as a part of our identity that can be put on or sloughed off like a change of clothes, in practice religious identities permeate and cross over other areas of our daily routine, including the ways we sustain mind and body through food and eating. Many of us are familiar with the food “rules” of religion, like eating kosher in Judaism and halal in Islam. A focus on these theological food principles can serve to mask the complex and changing nature of food habits among believers. This book started its life as a seminar at an American Academy of Religion annual conference in which participants were invited to come and discuss their ideas about food. The response was impressive and the result of this first-of-its-kind meeting is Religion, Food, & Eating in North America, which includes chapters on Christianity, Islam, Judaism, Buddhism, African diasporic religions, and Native American religions. In the course of studying these traditions, we learn something about dietary abstinence, nineteenth century vegitarianism, raw foods, a salmon ritual, Father and Mother Divine, and locavorism. Marie Dallam earned her PhD in Religion from Temple University in 2006. 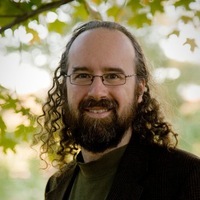 Benjamin Zeller was an instructor in Temple’s Department of Religion between 2005 and 2007. This entry was posted in Audio, Human Sciences, People, Religion, Rowland and tagged Interview, Religion, Top News by Fred Rowland. Bookmark the permalink.